Some weeks ago, I read Lonely Planet’s article on The best countries for food and I followed the the comments people made. While the author had named Thailand, Greece, China, France, Spain, Mexico, Italy, India, Japan, Indonesia and Malaysia, many people had other opinions. Shouldn’t this country be on the list? Isn’t there a too high focus on Southeast Asia? Reading this, I realised how very personal such a food list is and decided to do my own. So, just let me emphasise again: The following choices are highly personal in taste, even though I’ll try to explain my choices. Southeast Asia: Yes, this sounds so cliché but I loved all the Thai food I’ve tasted, well maybe except for the stuff that had (too much) coriander in it, because I really don’t like that stuff. Cambodian noodle soup or BBQ was so nice as well and don’t you ever say something against fresh Vietnamese spring rolls (at least if they are with out coriander, that is…). Around the Mediterranean: Yes, there is whole lot of choice here but well, what’s not to like in pizza, pasta, mezze, falafel, kebab, paella and so on? And there’s so much to discover. Have you e.g. ever sampled Turkish cuisine other than kebab? It’s lovely! It’s so hard, I had to pick and it ended up to be these three, rather random meals or things. But there is quite a lot more very nice things out there that I love. 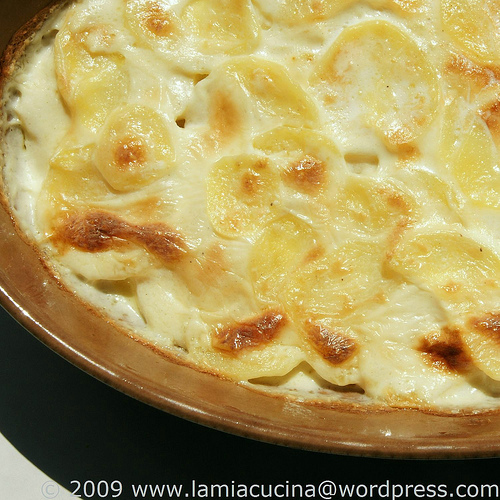 Au Gratin Potatoes: creamy, yummy, with melted cheese… It’s just comfort food. 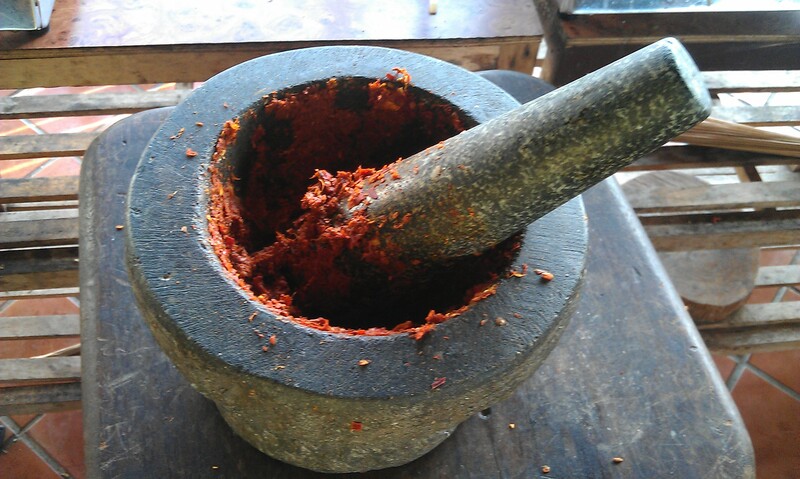 It goes well with any knd of meet and some sauce, but you can also enrich ist with some vegetables or some meet inside. Plus my boyfriend makes the best I’ve ever eaten (sorry, Mama). Sushi: Freshly made sushi is really nice and a healthy thing to eat. But, lazy as I am, I really prefer to eat them in a sushi place because I have tried to do them at home, but they taste nicer and you get to eat far quicker if some else does them for you. Pad Thai: Fresh from the street, nothing much but some noodles, an egg, some vegetables and maybe tofu, chicken oder seafood. It’s as simple as this. This one was actually quite easy. but that was probably because “cake” is a bit more limited than country (which need an overall score) or salty meal as there are so many. Liège waffles: Eaten freshly baked from a street vendor in Brussels this sweet and chewy bit of dough is just so delicious. Chocolate Fudge Brownies: Well everything containing the words Chocolate and Fudge is usually nice. Chocolate Mud Cakes are a good thing too. But writing about Australia just lately reminded me about the ones from Max Brenner and they were really good. 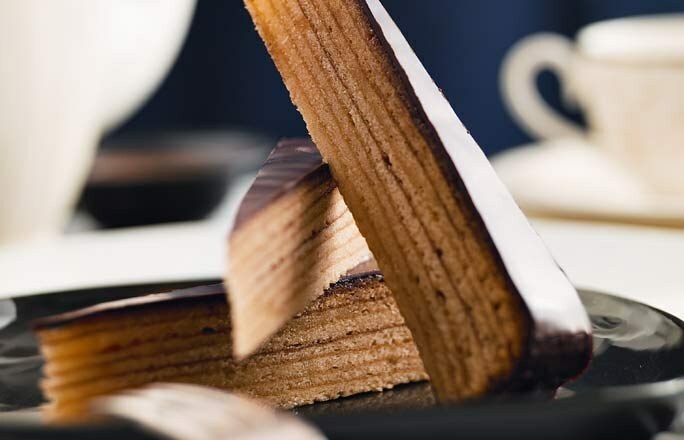 Baumkuchen: every year on the 22nd of December I make one of these layered cakes for my family for christmas. And on the 27th I put together the mixture with lots of eggs and not that much flour plus the sugar water and marzipan mix and spend an hour or so of baking every single layer, for my boyfriend’s birthday and than thats it for the year. It’s lot’s of work but it’s so delicous that it’s worth doing it twice a year. Australia: You get the best of everything. Actually traditional Australian cuisine was not especially my cup of tea, but with so many people immigrating to Australia, you can get great sushi or Japanese noodle soup, a delicious Thai curry, very good German bread, but also good fusion cuisine, a nice lobster on Tasmania or maybe a cangaroo steak. 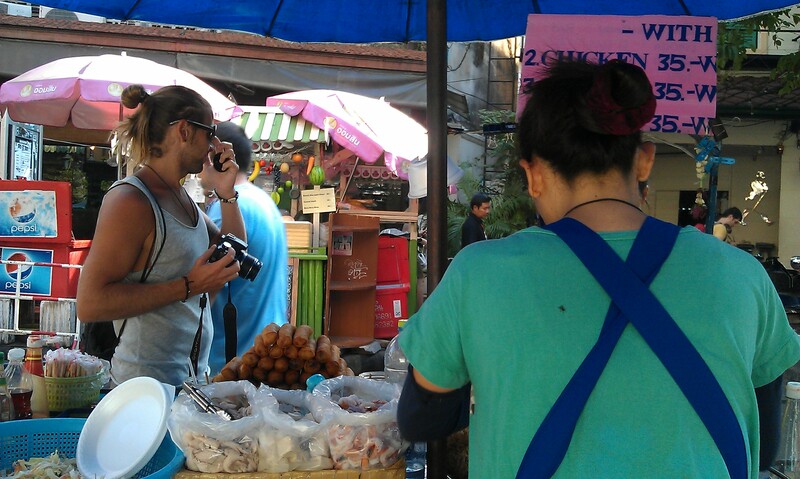 And you can get nearly every kind of vegetables or fruits, freshly harvested, plus great meat and fresh seafood. So, you see, that my choices reflect the places I’ve been too, which is why e.g. South America or Africa are not really represented her. But I guess food is a topic one could write about ever changing articles again and again. How do you feel? This entry was posted in At home and tagged Food by kathatravelling. Bookmark the permalink.